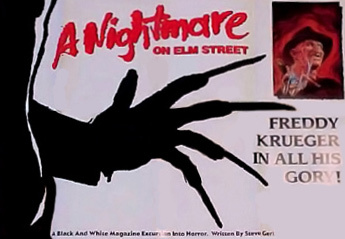 Publishing giant Marvel Comics released a magazine-styled series in 1989 titled Freddy Krueger’s A Nightmare on Elm Street. This short-lived, black and white series followed Dr. Juliann Quinn as she explores Freddy’s past and tries to help targeted teen Allison overcome the infamous dream-stalker. You can read the series in full below. Steve Gerber wrote Freddy Krueger’s A Nightmare on Elm Street with art by Rich Buckler, Tony DeZuniga, and Alfredo Alcala. Covers were by Joe Jusko. Marvel Comics canceled this series after its second issue, fearing pressure from anti-violence advocate groups. Steve Gerber commented on the Marvel’s decision to cancel the series in Reading for Pleasure #8. See below for what he wrote. Dr. Juliann Quinn returns to her hometown of Springwood to apply her psychiatric skills in an investigation of a most perplexing phenomenon: many of the town’s teenagers suffer from nightmares about deceased child-killer Freddy Krueger—and often die shortly afterward. Soon after her arrival, Dr. Quinn meets young Allison Hayes, who claims to almost have been killed by Freddy. The two women join together in a bid to destroy Freddy’s evil once and for all. 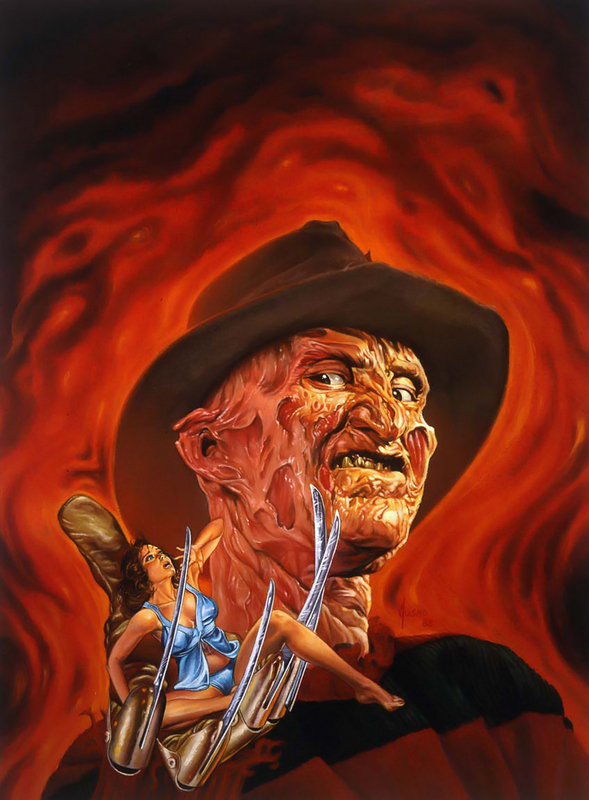 Allison and Dr. Quinn enter the dream world to confront the ghastly Freddy Krueger. But no sooner do they arrive does Freddy find them… and he isn’t about to let them go! Within Freddy’s nightmare realm, Allison must uncover the secret of her own dream powers to save Dr. Quinn and Springwood’s children from the infamous dream-killer. 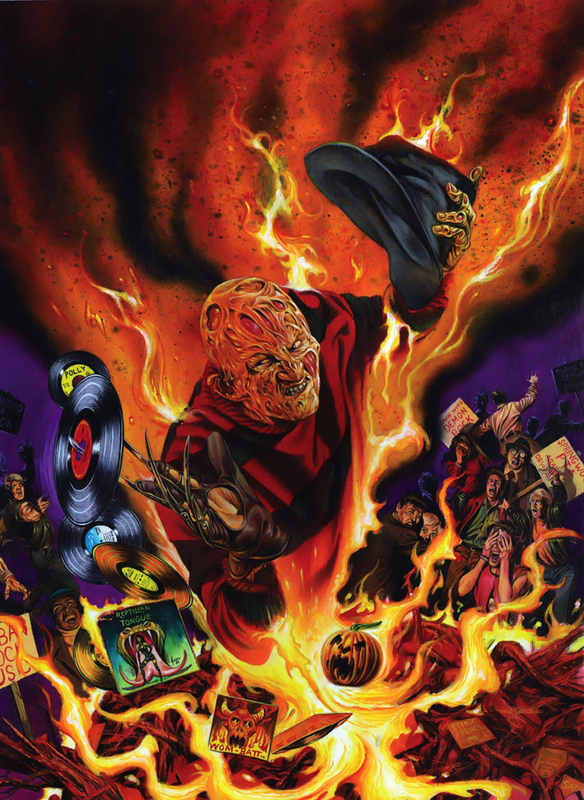 Joe Jusko, cover artist for Freddy Krueger’s A Nightmare on Elm Street, posted his artwork online for the first two issues, plus his cover for the unreleased third issue. A note on the why’s and wherefore’s of the magazine’s cancellation (which, incidentally, was a major topic of discussion in the Comics relay a few months back). According to my best information, Marvel cancelled the book in anticipation of pressure from the various anti-violence advocate groups. A few weeks prior to the release of the first NIGHTMARE, there had been an article published in the New York Times decrying the level of violence in comic books. Apparently, that article—along with the picketing that took place outside theatres showing NIGHTMARE 5 in Los Angeles and elsewhere—was enough to make Marvel turn tail and run for cover. Please note that this is DESPITE the fact that the NIGHTMARE magazine carried a “suggested for mature readers” warning and that NO DIRECT PRESSURE had actually been applied on Marvel. The cancellation of NIGHTMARE is a textbook example of the “chilling effect” you hear so much about these days in discussions of free speech. The book was killed not because of it WAS criticized, but because the publishers FEARED it would be criticized. This won’t be the last incident of its type, either. The impulse to censor—led by groups on both the left and the right, and fed by the innate cowardice of American business—is growing in this country. It’s something that anyone who reads for pleasure or edification ought to be aware of, and prepared to combat. In one of the great ironies of history, we have a situation in which the totalitarian nations of the world are on an inexorable march toward freedom, while their very model, the United States, is moving slowly, but dangerously, in the opposite direction.